FertAid Pty Ltd operates an international Internet site dedicated to the provision of quality assurance and training in the Reproductive Sciences and related medical disciplines. The site encourages all scientists in each subscribing laboratory to participate in monthly quality assurance tasks as part of the laboratories Internal and External Quality Activities. The site has been operational since 2003 and has experienced steady and continual growth. 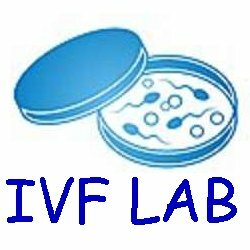 Subscribing companies include both IVF clinical laboratories and pathology medical scientists. Develop Staff Competency in the areas of the QA scheme. Allow staff to develop a set of performance reports for their own CV. Allow staff to participate either at a professional level for QA assessments or at a student or training level for training and initial review roles. The site provides QA schemes in Andrology, Embryology and Ultrasound at present plus several other free schemes that may assist in education and training. These schemes use the same format as the QA schemes and are participant driven. In 2006, there are a number of professional development schemes available. These include a Journal club using Human reproduction, Case Scenario and Risk Assessment, Terminology modules and Monthly crosswords for a bit of fun. These use the same tools as QAPonline and are available as part of your professional development process for accreditation. One staff member is nominated as the Group supervisor. The supervisor mau join new staff members, enroll staff in schemes, review adn generate reports online for the groups activities and for each laboraory within the group. There are structured reproting modules for accreditation and other free form interrogation modules to drill down the groups or each staff members activities and performance. All reporting is dynamic and current. Once you have registered, initial housekeeping includes a request to save your logon code and password (these have also been mailed separately) for your return visits. If you forgot them you can also select lost password and your codes will be sent to your last e-mail address. The second housekeeping suggestion is that there is a detailed online tutorial that you should read before proceeding. Thirdly, QAPonline is always under review and there is a constant number of minor improvements to the site. Currently you have not joined a QAP group. If you are part of a subscribing group and need to join it, you should select Add My Name to a QAP Group and use the unique clinic code obtained from your QAP Supervisor. There are a number of free scheme, either early versions of current schemes or draft versions of future or miscellaneous schemes. You may join any you wish by selecting JOIN and then Free schemes. All QA schemes operate in the same manner so that once you have mastered one scheme, all the other schemes are similar. The site has been engineered such that after each unit of question, you may review your performance. As such, the site achieves one if its primary aims - that of quality assessment and self improvement and education. So enroll in a scheme, select the scheme and then a monthly task and see how you get on.